We've heard about some upcoming changes to the student portal. One user who is in the "pilot" for the new portal has already written to say that it breaks a part (course status) of PocketWGU though other features should continue working. 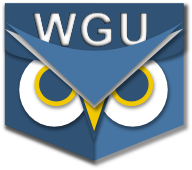 This is just a heads-up that sometime over the next month there could be an interruption in PocketWGU service. The DevTeam doesn't have access to the new portal yet, so we can't create/test a fix. As soon as we can see what the new portal looks like, we'll get right on it. We anticipate that the fix will be quick and hope to have an update within a day or so. This update will go into Google Play as soon as it's tested, but Apple and Amazon users will have to wait for approval by those companies before it will be visible on those markets. Let us know if/when you see the changes, and keep your fingers crossed!